HIDALGO — A city employee here is accused of showing a minor pornographic material during an argument with his wife, according to a criminal complaint. Mario Javier Mata Berrones, of Hidalgo, was arrested and charged with a misdemeanor after a family member accused him of showing another family member, who is under 18 years old, pornographic images from his cellphone’s screen, according to a criminal complaint filed by Hidalgo police. The allegation against Berrones stems from an incident more than a week ago. 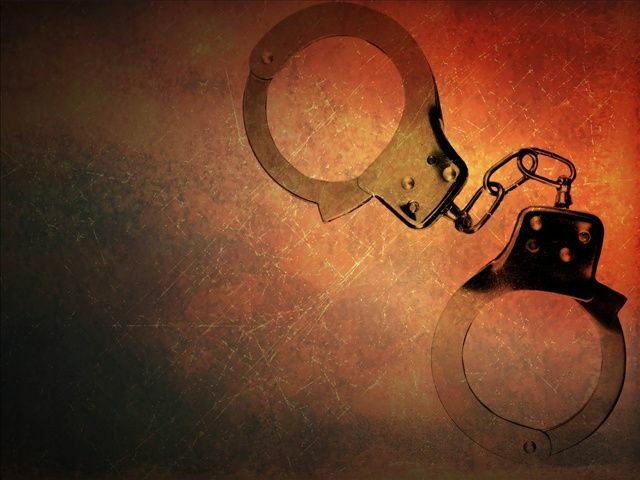 Officers responded to a call at about 2 a.m. April 24, at a residence in the 2900 block of Saltillo Street in Hidalgo after a woman reported that her husband, during an argument, showed a pornographic video to a minor inside the household. Berrones, the complaint alleges, was in a heated argument with his wife about their impending divorce when he turned to a young female, who was in the same room as the two adults, and showed her a video of a woman exposing herself and of a hand touching the woman’s body. After interviewing the woman and the alleged victim, officers arrested Berrones, the complaint states. “(Investigator) Gonzalez also made contact with (redacted) who confirmed (Berrones) had shown her the explicit video,” the complaint shows. Berrones during his interview with police admitted he showed the video to the adult woman and that the young girl was in present at the time, the report shows. Berrones was charged with display of harmful material to a minor, a Class A misdemeanor, and had his bond set at $5,000, according to jail records. Berrones’ status with the city of Hidalgo, where he was employed with the Hidalgo Fire department prior to the incident, is unknown after both fire department and city officials, declined to say whether Berrones remained on as an employee with the city. When reached to confirm Berrones’ status with the fire department, Chief Roberto Rojas acknowledged the incident that prompted police to investigate and ultimately charge Berrones, but declined to provide additional details regarding Mata’s status with the department, and referred calls to the city manager. Calls left for City Manager Julian Gonzalez were not returned as of press time. If convicted of the charge, a Class A misdemeanor, Berrones faces up to a year in county jail and a maximum $4,000 fine.